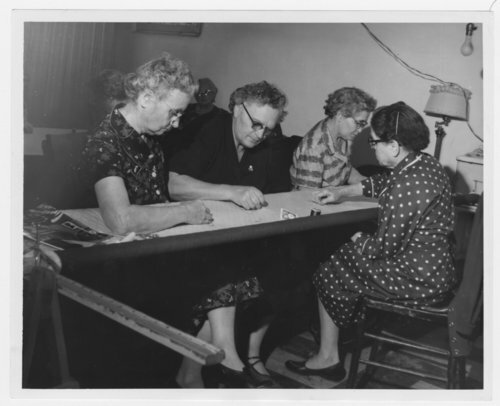 This black and white photograph shows a group of women gathered for a quilting bee in the observance of Kansas' centennial celebration of statehood, 1861-1961. The photograph was donated by the Kansas Centennial Commission in 1962. There is an address label for Beverly Baumer, Hutchinson, Kansas, on the back of the image so she may be one of the quilters.